For a winter wardrobe that really pops, take your colour cue from the setting sun and opt for bright orange. Opening Ceremony S/S 2016. Photo: Getty Images. 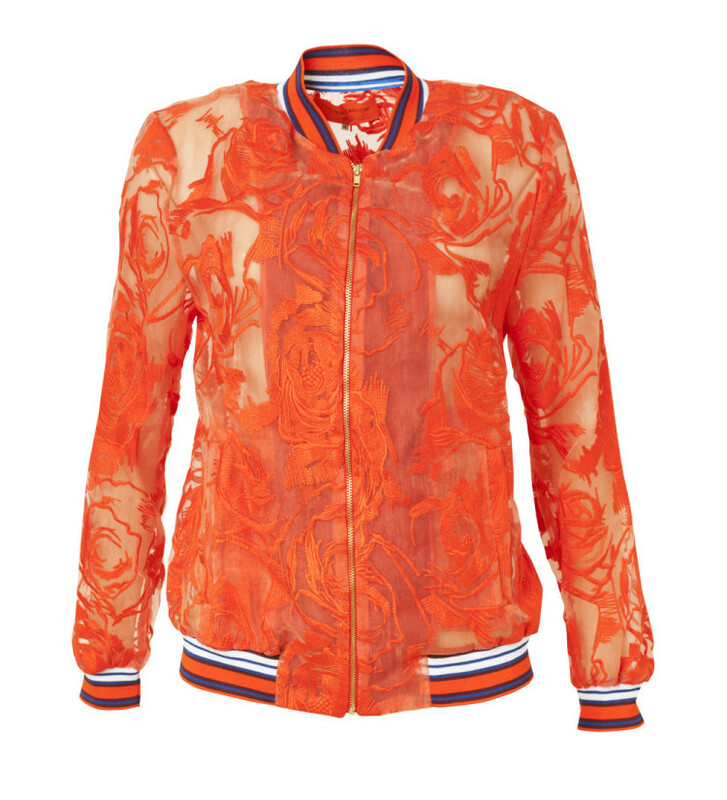 Clover Canyon jacket, $330, from Harry’s. Dress, $249, by Staple + Cloth. Bracelet, $55, by Lola and Grace. Kendall Watt jacket, $359, from The Stockroom. Loafers, $199, by Merchant 1948. YSL Le Blush Encre De Peau in Spicy Vibes, $65. Coat, $229, by Silver Lining. Wallet, $720, by Christian Dior.